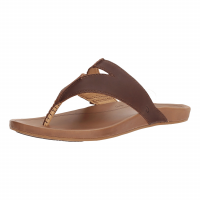 The Olukai Lala sandal is made with soft, smooth full-grain leather with a soft microfiber lining. 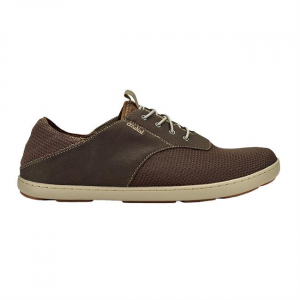 Featuring an anatomical molded PU midsole wrapped in high-character full grain leather with increased thickness and a raised perimeter for enhanced cushioning. With a water-ready build, the Kipi has been tested and approved by the HLA. Features decorative strap stitching, a welded hook logo on the toe-post overlay, laser footbed detail and a custom jacquard webbing tag which represents the colors of the HLA. 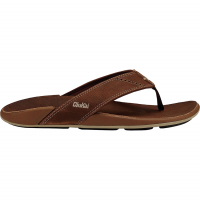 With an elevated footbed, enhanced heel cup and extra cushioning, the Mohalu redefines comfort even by OluKais already high standards. 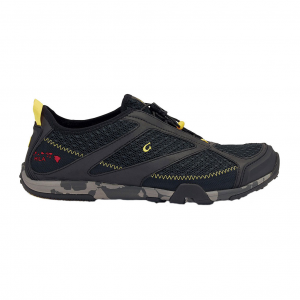 Equipped for wet conditions, the Nohea Moku is inspired by and designed with nautical life in mind. 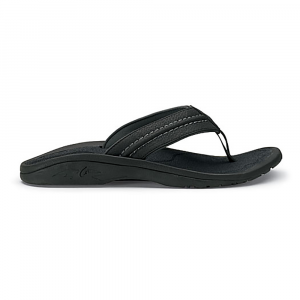 With stretch bootie construction for barefoot wear and medial water drainage ports. Classic beach-ready sandal features a cushioned anatomical footbed and can be machine washed for easy care. 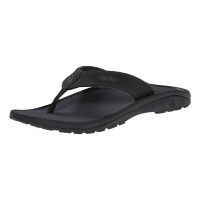 The Olukai Nohea Mesh is built for the amphibious life. 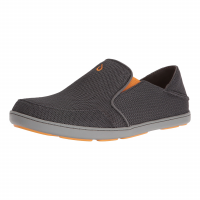 Simple microfiber mesh uppers breathe when you're dry and drain when you're wet. The outsoles are non-marking and the anatomical footbeds are removable. 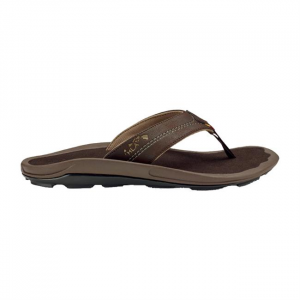 The Olukai Nui offers decorative stitching on the footbed, hand-sewn whipstitching, a soft nylon toe post and an embroidered logo. 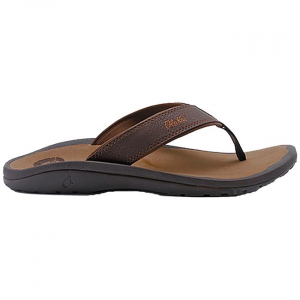 The classic Olukai Ohana flip-flops offer simple, everyday style and a comfortable fit for all warm-weather, casual occasions.